Benedict Cumberbatch has enjoyed a fairly varied career, having proven that he can play a famous detective, a greedy dragon, a narcissistic sorcerer, a giant CG demon (in the same movie), a renegade hacker who has been accused of sexual assault, and a genius codebreaker, but now he’s signed on to play another surprising character: A 400-year-old man who happens to look like Benedict Cumberbatch. 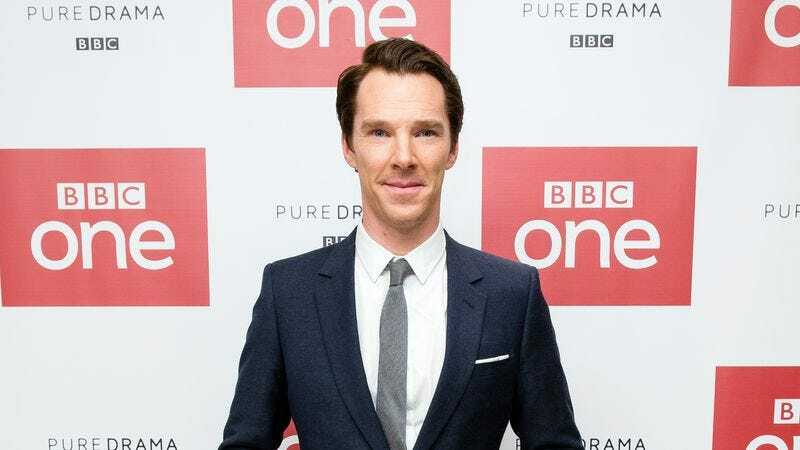 This comes from the BBC, which says Cumberbatch has signed on to star in How To Stop Time, a movie adaptation of author Matt Haig’s novel of the same name. The book itself won’t be available until July, but it’s apparently a “wildly imagined love story.” Cumberbatch’s character is named Tom Hazard, and the reason he looks like a relatively young man despite his outrageously advanced age is because of an “extremely rare condition.” That doesn’t tell us much, but the book’s description on Amazon adds that Tom Hazard is a history teacher and that all he wants is a normal life, so that sounds fun.